The Spotted Turtle-Dove or Spotted Dove (Spilopelia chinensis) is an introduced species in Australia, and according to the most recent guide it is confined to 'alienated habitats' - which is a phrase I have not heard before. They are common in Melbourne, but seem to be more noticeable in my area in autumn when all the leaves - or most accurately acorns - have fallen from the oaks we have as street trees. I spent sone time this weekend looking for these birds feeding in the fallen leaves, but they seemed to prefer driveways and pavements. You can also see in these pictures, that once a dove has found an acorn it may not always be the easiest thing for them to swallow! Beautiful dove! Not far off from our Mourning Doves. I lovely Dove Stewart and great photos Thanks for hosting and have a good week. 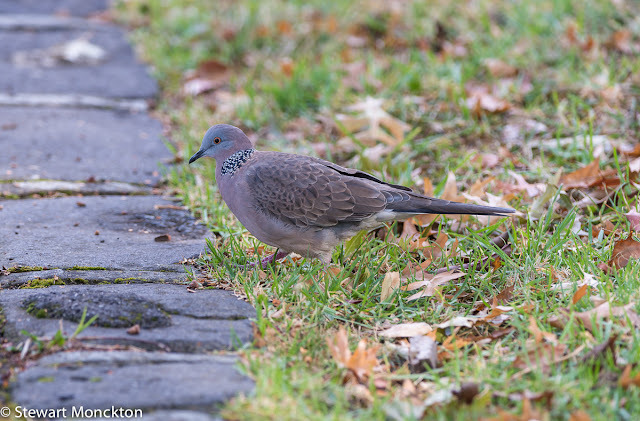 The Spotted Dove looks beautiful! Very interesting Stewart. 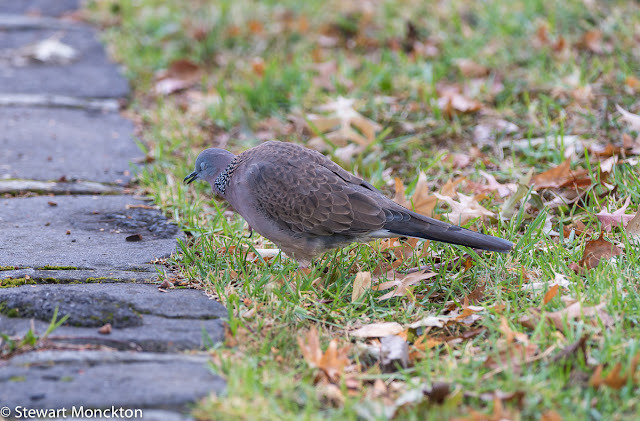 I find it very surprising that a dove that size would eat acorns. On the other hand, I would imagine that the bird would not need to eat many to be sated. The colours are vivid! Love that creature! I guess their gizzard is adapted to such a tough shell. How do you feel living in an alienated neighborhood? Maybe it is a synonym for one with bountiful acorns and people there must wear thick-soled shoes! Yes, a dove struggled to swallow an acorn but eventually he did it. Thank you for sharing these wonderful series of photos! I have seen this species in different locations throughout Asia,where I assume it was not in alienated places, whatever the hell that means! That is a very pretty dove. Love the necklace collar on it. lovely creature. 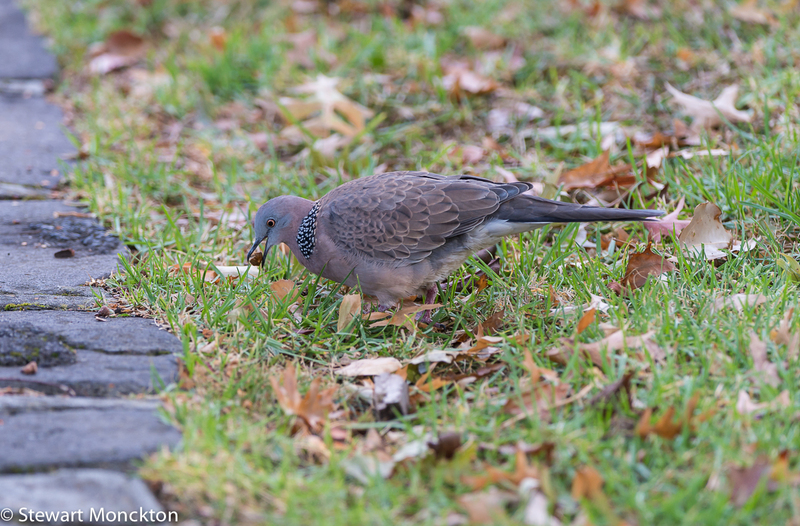 I've never seen one of our mourning doves swallow down an acorn...and we have plenty of them. But they love my feeders. Beautiful markings. He is quite the handsome fella. Well, once he got that acorn swallowed. Love this type of dove...a new one for me! Really pretty spotted collar! So, your Autumn has begun! I look forward to Fall shots from all our lower hemisphere friends! 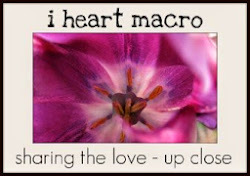 Thanks again so much for your WBW blog!!! I look forward to it every week! Hello Stewart! Lovely photos of another bird I have never seen before, and it's very attractive with its necklace of pretty feathers. They look much like our doves..I don't think ours have the sam eneck ring..If I were home, I'd look out the window and check..Enjoy the rest of your week..
What a pretty dove Stewart. My mourning doves are pairing up - I had four of them today. Hello Stewart. 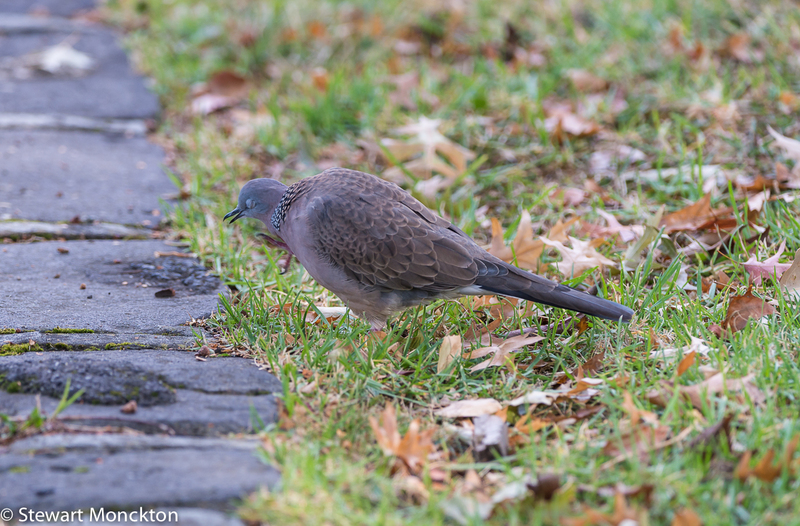 It is an interesting and beautiful dove. I like doves -- Not many birds around our house yet. Next month, it will quiet down here as most of the snowbirds leave by the first of April. Then we'll see the more interesting birds in our trees and grass. Until then we have to drive to go birding. Great photos of a beautiful dove. I wonder if they were "introduced" for hunting?